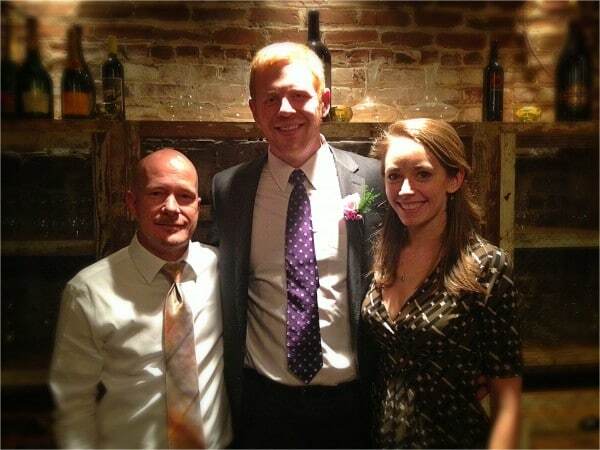 On Saturday, Oct. 20th, our director Kevin Ekmark was married to Andrea Lalley at The Atlanta Botanical Gardens. It couldn’t have been a more gorgeous day at a better venue! We are certainly very proud of Kevin and all that he’s done to help build us into the company that we are today. We are pleased that a few of us here at TrustWorkz® got to be a part of this special day! Interestingly enough, Kevin asked if I would officiate at his wedding. I couldn’t have been more flattered and it was an honor to be a part of the wedding ceremony. I got to spend two days with Kevin, Andrea, and both families as we prepared for and had the actual ceremony. 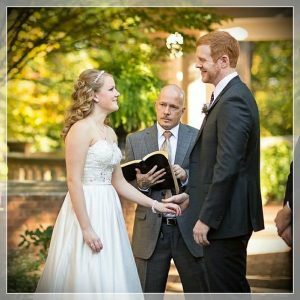 Sara Pierce, one of our WebOps® that Kevin suggested some time ago acted as the Wedding Coordinator. Sara actually introduced Kevin and Andrea a few years ago while Kevin and Sara worked for the same company. Sara and Andrea both also work at and perform for Sideways Contemporary Dance Company. Here’s to you Kevin and Andrea, all of us here at TrustWorkz® wish you both all the best that life has to offer! James Ball, Kevin Ekmark, and Sara Pierce of TrustWorkz® , Inc.